When it comes to adaptation of favourite manga I am willing to forgive a lot if I can get a big-screen or TV anime version. The film version of Junji Ito’s Uzumaki wasn’t totally faithful to the source, rather a greatest hits of weirdness and yet it still managed to capture the atmosphere of the twisted tale. Gyo: Tokyo Fish Attack made significant changes to the story and characters and yet the hopeless despair and ugly deaths and black humour were enough to sway me. 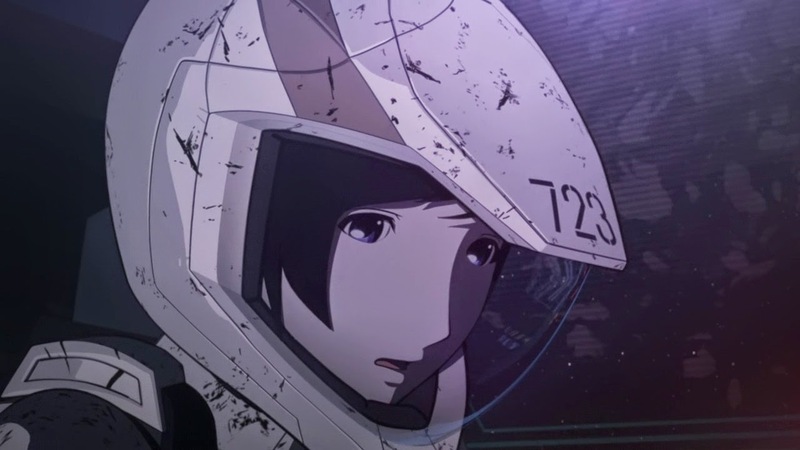 Knights of Sidonia does a good job of adapting the manga. With great use of CGI and a story that built up a lot of mystery, I’m hooked and I cannot wait to watch season 2. After re-reading my first impression the anime clearly lived up to the early promise I saw. I like Nihei’s dystopian apocalyptic sci-fi manga and this one had so many interesting aspects that appeal to my dark imagination and a lot of it makes it through to the anime. There are things that make certain anime fans roll their eyes such as harems and hot spring episodes which are present. 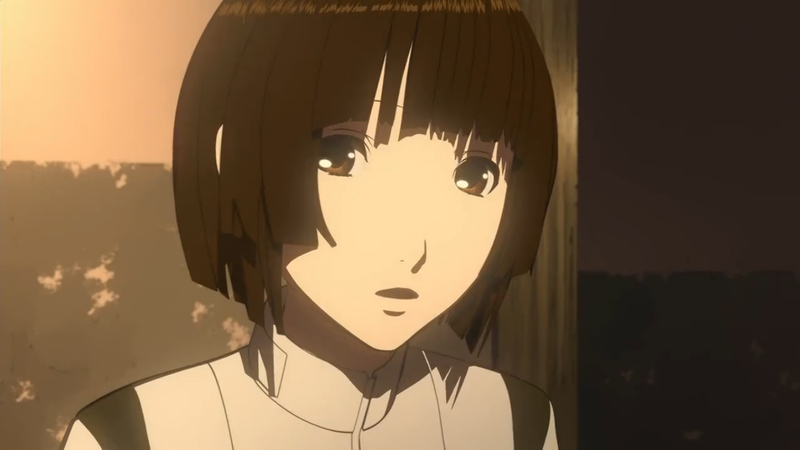 Even in space, on a ship which is falling apart and with humanity on the edge of extinction, Knights of Sidonia managed to get these things but with Nihei’s lovely twists like the lead character Nagate’s harem consisting of two sexes – female and intersex (characters who are both genders and can reproduce asexually) – and discovery of ancient laboratories underneath the hot spring. 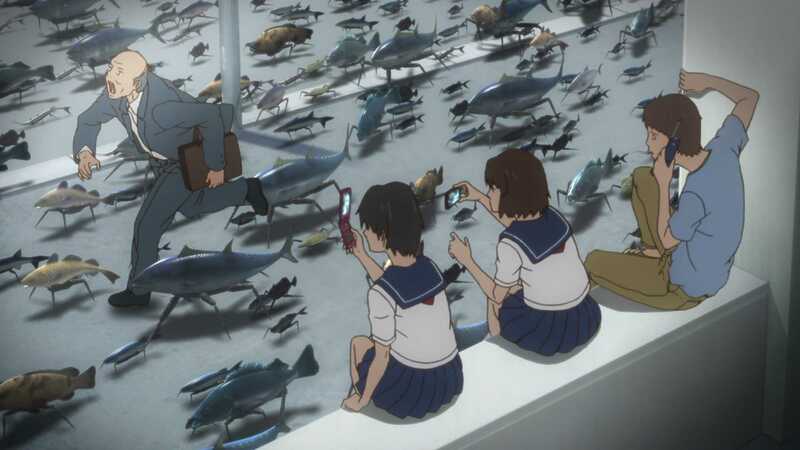 His art work is pretty detailed and so is his depiction of society which the anime manages to capture whether it’s the genetic engineering that has created a unique set of characters or the way shifting gravity and inertia would affect the ship. Nihei’s story has a lot of potential and thanks Sadayuki Murai’s adaptation, it played a smart game of teasing things and leaving the viewer gasping for more from season 2 and using the setting to cover up less than graceful characterisation. 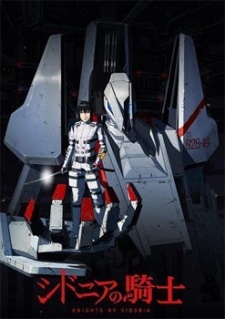 Origin stories surrounding the history of Sidonia and its crew and Gauna were opened up, the various political factions like the anti-war protestors are all given a moment in each episode to plot and scheme and play media wars and the constant detail really brought the idea of the age of the conflict. The reveals for the intriguing stuff is set for the next season but what season one made clear that the fact that humanity was on the brink of destruction and that every life lost was a blow. More intriguing were the Gauna and that the majority of people on Sidonia did not know all that much about what they were fighting. From the very opening episode with its view of a society fracturing the story threw into doubt the military bombast and need for alien destruction that other sci-fi shows typically peddle and allowed a swamp of conspiracy theories to take root. This is what Nihei does so well although the plots and narrative of his manga are usually messily revealed. Some theories are only beginning to sprout while others are blossoming. The most promising stuff seems primed to be in full bloom next season with the big questions – what are the gauna and are they some malignant race of monsters bent on the destruction of humanity? – forming the centre. As much as the audience questioned things, so did the pilots. Hoshijiro, a nice but fay love interest became fascinating as she was caught by the Gauna and warped into a strange placenta that, in scenes both surreal and touching, was trying to make contact with Nagate through some scrawled hiragana. 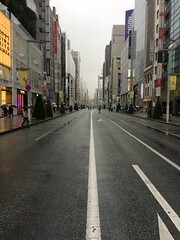 Mere echoes of the recently absorbed Hoshijiro’s human personality or the actual person? It was signalled that the Gauna could take the shape of a person earlier in the series and the glimpses of humanity’s first encounter with the Gauna was of a human shape descending upon a city from the stars. Hoshijiro had already sown the seeds of doubt as to whether the Gauna were trying to destroy humanity. What if they are trying to communicate and their way of contact just happened to be enveloping everything in a protruding mass of flesh? Okay not in those words, it was put more enigmatically. The corrupt form of Hoshijiro presented an interesting spin on things and made me remember that Nihei creates villains and creatures who match the main protagonist for being memorable. Izana’s character grew tremendously in the final few episodes, transitioning from firm friend to the almost archetypal romantically frustrated character, who just happened to be intersex, in Nagate’s harem to becoming more of a well-rounded human and incredibly sympathetic. In the build-up to the climactic battle, the shortage of pilots meant that less able ones like Izana were being rushed through to the front-line to make up numbers and Izana voiced how scared of having to go into combat he/she was. In the final fight, through the power of intercutting between perspectives, the viewer was given Izana’s perilous predicament as he/she was sandwiched between the scenes of controlled chaos of command and Nagate’s relentlessly aggressive and agile piloting on the battlefield. Seeing things from Izana’s perspective made the fights more intense because you could see that it would be easy to be swept away in the confusion and fast pace of the battle and Izana was barely coping with the fluid and deadly situation. Brilliantly, Izana’s path was clear when Nagate was in trouble and a brief moment of skill and determination saved the main character. One of the major highlights of the anime was that the combat was thrilling to watch. 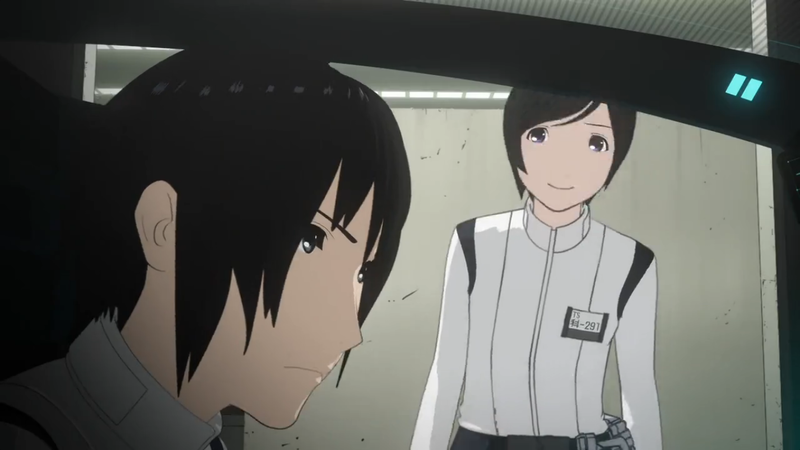 Despite deciding to stop writing first impression posts for anime, part of my reasoning for the first impression for this anime was that I wanted to praise Sidonia’s use of CGI (I even posted about it on my much neglected Tumblr account), animation and editing which I found did an impressive job with the action sequences. 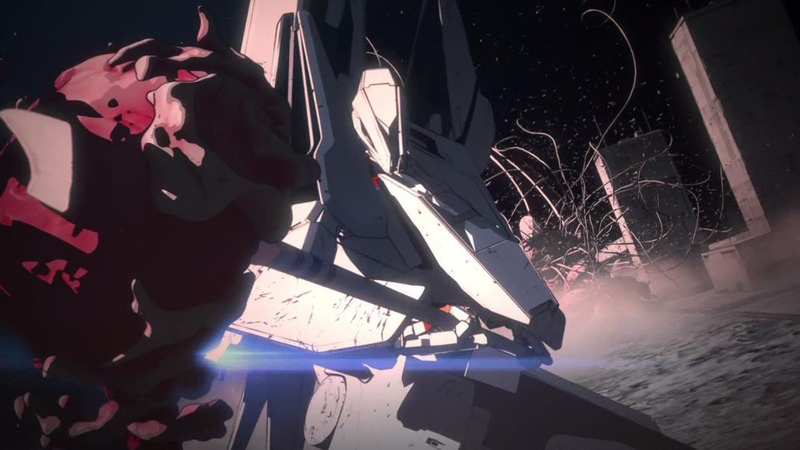 The mecha battles were fast-flowing and the final few episodes had an insane series of battles where humanity was really pushed to the edge of destruction. From the command centre to the battlefield, there were tense and excellently choreographed battles and dialogue that really brought across the idea that Nagate and his fellow pilots were fighting a desperate battle. I loved the way the commander would calmly be giving orders and rolling with the battles changing pace as she heard soon-to-be-dead pilots crying in panic over com-links and their status flashed from green to red. Close-ups caught the commander having to make tough decisions on the fly and the monitors listed all sorts of information. Out in space, things were even more hectic as mecha streaked about giant globular flesh-balls, all bright colours and twisting movements in the depths of space and had to content with a massive planet busting missile launched from Sidonia bearing down on them. It was all tense, edge of the seat stuff. The contrast between the lumbering and polymorphous corpuscular creatures is well made as swarms of mecha battle the seemingly malignant and gigantic foes. The sense of scale and speed works so well thanks to the CGI and the pace is kept up at a nerve rattling rate with POV shots from inside the cockpit that seamlessly joined together scenes of chaos. The excitement of the battle, the developing mystery and the growing characters make me anticipate the second season even more and I know that cooler pilots are waiting in the wings to take flight. With season 2 schedules for the winter season, I have something to look forward to. I will have to give it another look then. The first episode wasn’t engaging enough, and the shots didn’t vary enough to have me anticipate character arcs willingly. I started the older anime Planetes to get a fix recently of science fiction. I don’t have as much of a problem with CGI as others seem to have and I thought it was great for conveying space battles. Judicious and smart use of editing and camera placement helped cover up deficiencies. The anime improves tremendously towards the end when there are multiple space battles in every episode. I don’t think the majority of characters become as interesting as the cast of Attack on TItan but their place in the wider mysteries and controversies makes things compelling and the Gauna Hoshjiro/Izana character arcs were great. Impressive review. I am getting more curious. I don’t think I will read any manga anymore except for One Piece. the price for Manga is crazy now, I couldn’t afford buying long series anymore. I can only borrow it now. Reading One Piece manga… Something I haven’t done in an age. I don’t buy as much manga as I used to. I buy a few series (Monster, Abara, Biomega) and re-read them. I would love to buy Monster, they haven’t reprinted it. I saw Attack on Titans in the bookstore but I didn’t buy it. The SnK manga is okay but I prefer the anime.